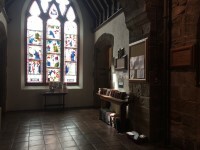 Sunderland Minster provides a ‘ministry’ for a wide range of ecumenical, educational, cultural and leisure activities. 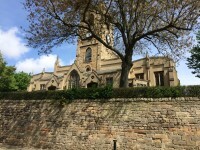 While it functions as a place of worship it has also held many very popular events including concerts by the Futureheads, the Unthanks and the Lilliputs. Weekend long festivals of music and art have also taken place and it has been home to a number of exhibitions including contemporary art and photography. 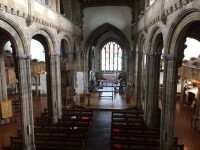 The Minster is also a significant part of Sunderland’s heritage, some suggesting it dates as far back as 940AD. 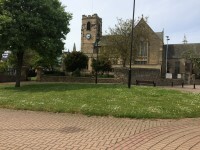 The Minster however was rebuilt in the 20th century and following the grant of city status to Sunderland in 1992 the church was re-designated as ‘Sunderland Minster’ in 1998. 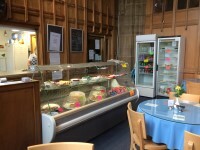 The Minster provides a meeting place for people from all over the city, it has a rather excellent café, as well as a centre of worship on a daily basis. 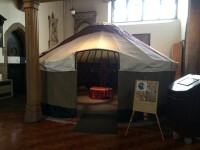 Services / facilities within the building include a Yurt and Biscop'@TheMinster Café. 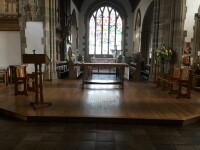 Sunderland Minster is a historic place of Christian worship within the Church of England and a place of meeting, learning, belonging and celebrating for the people of Sunderland. The nearest Metro Station is Sunderland. 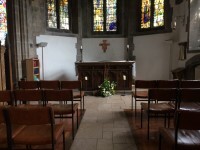 The venue is also open on Sundays for services. Please contact the venue for further information. 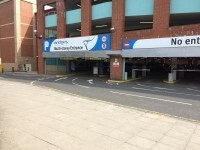 The name of the car park is Bridges Car Park. 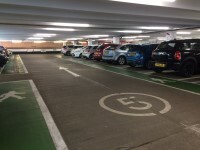 The car park is located in Green Terrace. 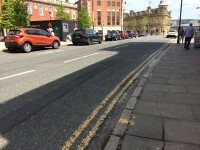 On street Blue Badge parking is located in High Street West. 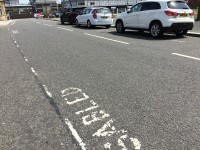 The Blue Badge parking is not marked into individual bays. 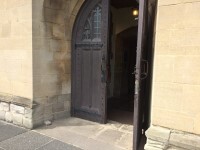 The width of the door opening is 68cm (2ft 3in). 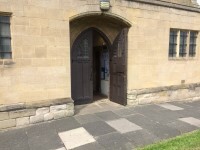 The second entrance has a single door to the left and the right. There is a third door. This door opens towards you automatically. The door is 81cm wide. You are on Level Change (South Entrance). Skip to the next section. 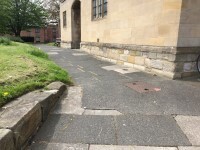 The ramp/slope is located either side of the entrance. 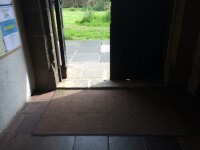 The step(s) is/are located beyond the first set of entrance doors. 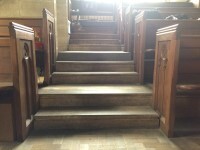 The step(s) is/are shallow (2cm - 10cm). 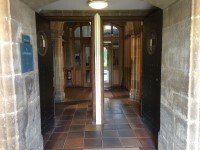 You are on Outside Access (North Entrance). Skip to the next section. 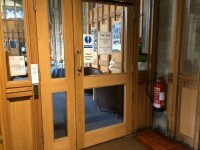 The width of the door opening is 67cm (2ft 2in). 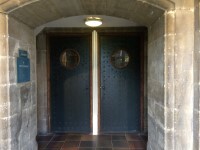 The second entrance door has a similar door to the right that is kept closed. This entrance is only used when weather permits. You are on Level Change (North Entrance). Skip to the next section. 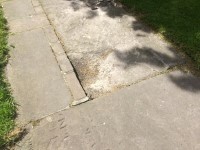 The ramp or slope is located to the right as you face the entrance. 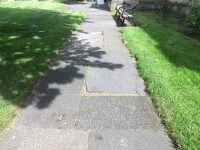 The path to the right of the entrance is uneven. 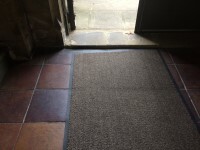 There is a shallow step that is not clearly marked beyond the first set of entrance doors. 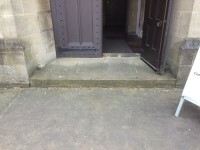 This step does not have handrails. You are on Office. Skip to the next section. 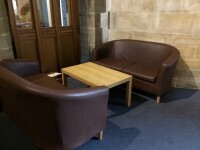 The office is 32m from the south entrance. 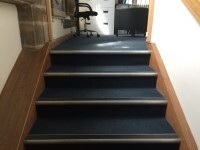 There are 12 deep unmarked steps leading to the office. 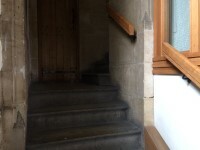 These steps have a handrail to the left. 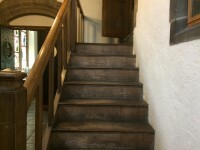 Anyone who cannot climb the stairs should ring the bell at the bottom of the steps. The height to the bell is 95cm. 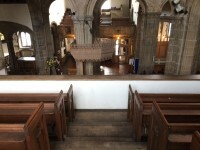 There are several single shallow steps without handrails leading to areas in the venue including the altar. 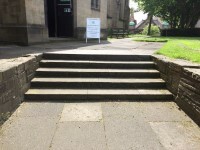 These steps are not clearly marked. You are on Galleries. Skip to the next section. 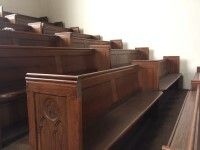 In the north and south galleries there are 8 medium unmarked steps leading to fixed bench seating. These steps do not have handrails. 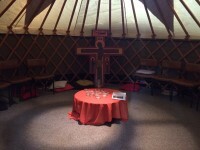 You are on Level Change (South Gallery). Skip to the next section. 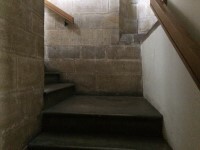 The step(s) is/are located to the left of the south entrance. There is/are 15 step(s) to the area/service. 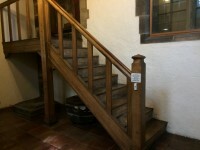 The handrails on the steps change to the opposite side with each landing. 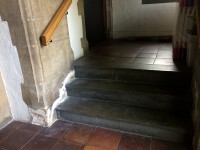 There are similar steps leading to the North Gallery at the north entrance. 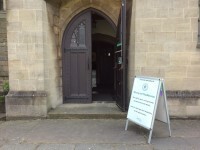 You are on Biscop@TheMinster Entrance. Skip to the next section. 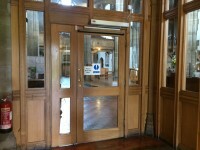 The door to the café are located to the left beyond the second entrance doors at the south entrance. The door open towards you automatically. The door is 86cm wide. 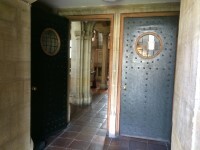 There are similar doors at the opposite end of the café that lead into the Minster. 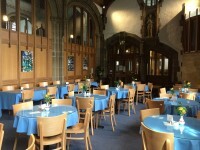 You are on Eating and Drinking (Biscop's@TheMinster). Skip to the next section. 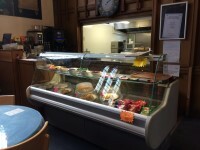 The café is located to the left of the south entrance. 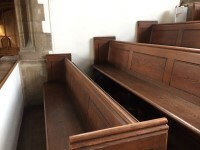 The nearest table is approximately 8m (8yd 2ft) from the south entrance. 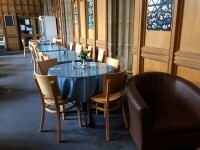 The distance between the floor and the lowest table is 40cm (1ft 4in). The distance between the floor and the highest table is 68cm (2ft 3in). 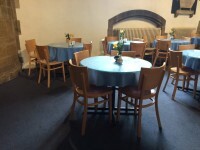 The standard height for tables is 68cm. 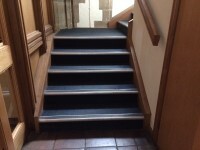 The floors which are accessible by stairs are G, 1. There are 12 steps between floors. 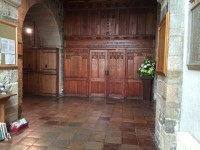 The area(s)/service(s) on the floors which are not accessible is/are the choir room. You are on Accessible Toilet (Female). Skip to the next section. 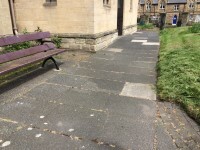 This accessible toilet is approximately 32m (34yd 2ft) from the south entrance. 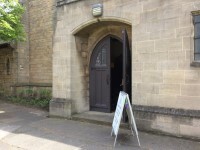 The accessible toilet is located at the rear of the venue. There is a male accessible toilet adjacent. The width of the accessible toilet door is 77cm (2ft 6in). 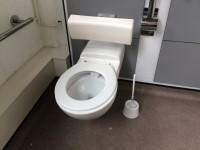 The dimensions of the accessible toilet are 180cm x 170cm (5ft 11in x 5ft 7in). There is a/are female sanitary, non-infectious waste and general domestic waste disposal units. Wall-mounted grab rails are not available. The height of the towel dispenser is 127cm (4ft 2in). 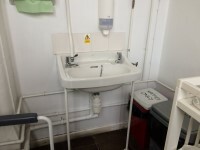 The height of the wash basin is 81cm (2ft 8in). 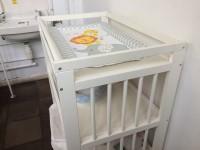 The height of the baby change table once extended is 94cm (3ft 1in). 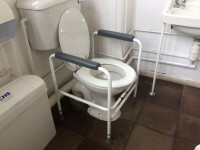 There is a frame around the toilet with handrails on either side. 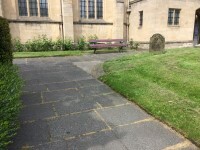 This accessible toilet is approximately 28m (30yd 1ft) from the south entrance. There is a female accessible toilet adjacent. 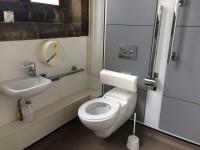 The dimensions of the accessible toilet are 140cm x 160cm (4ft 7in x 5ft 3in). The lateral transfer space is 106cm (3ft 6in). 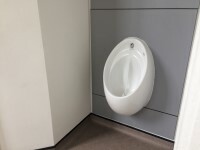 The facility also contains a urinal. 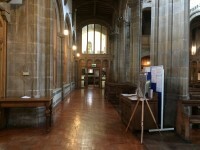 The female toilet facilities that were surveyed are located at the rear of the venue. The female toilet(s) is/are approximately 32m (34yd 2ft) from the south entrance. 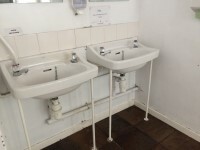 The male toilet facilities that were surveyed are located at the rear of the venue. The male toilet(s) is/are approximately 28m (30yd 1ft) from the south entrance. The assistance dog toilet area is located in the grassy areas around the venue.